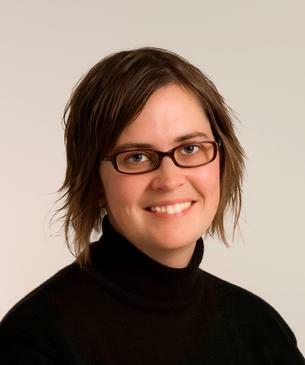 Tine Viveka Westerberg is an Assistant Professor of Maritime Management and works as a project manager on several projects at the University College of Southeast Norway. She graduated from Deakin University with a Master of International Relations, and has worked with international higher education and research cooperation since 1998. As the Head of International Office at Nord University she was heavily involved in Arctic and circumpolar cooperation, mainly focussing on education and business cooperation with Russia and the US. She has specialised in maritime and energy management and skills development as a project manager, and as a lecturer and researcher. She has worked in several InterReg-projects and has been part of various EU and international activities related to education and research on several maritime areas. She has extensive experience in cross-border cooperation. While working in the High North she was part of several international and circumpolar projects where the marine and maritime was central parts of the cooperation as they are both essential in Norway's economy. Her main focus has been international study programs, internships and knowledge sharing across borders. As a project manager and competence advisor for the Norwegian Shipowners’ Association she was part of the team responsible for the maritime research, education and training both onshore and onboard ships and rigs. She was the project manager for several national projects focusing on bringing the industry and the education and research providers closer together, including the initiative Global Maritime Knowledge Hub (www.marhub.no), Maritime Trainee (a cross-sectorial trainee program for the Norwegian maritime cluster, www.maritimtrainee.no) and "Maritim Karriere" (a national recruitment and information campaign, www.maritimkarriere.no). She worked closely with the national stakeholders within maritime education and research, including the education and training institutions, national authorities and the maritime industry. She was a central part of creating a national strategy for lifelong maritime education and research - from apprentice to professor. During her period in the NSA she was also involved in the development of a national research strategy for the maritime domain based on the input from the needs of the industry. This strategy is now adopted by the Norwegian government as the national research strategy for maritime research. She is currently an expert in the EU expert group on "Skills and career development in the Blue Economy". She is also a member of Shippingforum and the Ocean Industry Forum Oslofjord Competence Committee which is working on building a competence cluster in the Oslofjord area. In her current research project "Future Blue Competence" she is mapping what the main stakeholders in Norway define as the future maritime competence. 2007 – 2009 Project Manager, Subsea engineering project with Russia for the Norwegian oil and gas sector. 2004 - 2007 Founder, and head, of Northern Norwegian Network of International Officers "Nordflanken"
Presentation of "The future maritime competence" at the Norwegian Shipowners Associations HRM conference, Oslo. IAMU report: "Gender equality and Cultural Awareness in Maritime Eudcation and Training (GECAMET)". Presentation of "The future maritime competence" at the Norwegian Maritime Officers’ Association member conference. Speaker during Arendalsuka on "From mate to innovator. The role of ratings in the innovation process in the maritime industry". Presentation, “Cooperation in higher education and research in the High North and Circumpolar studies”, Norwegian-Canadian Workshop in Ottawa, Canada.